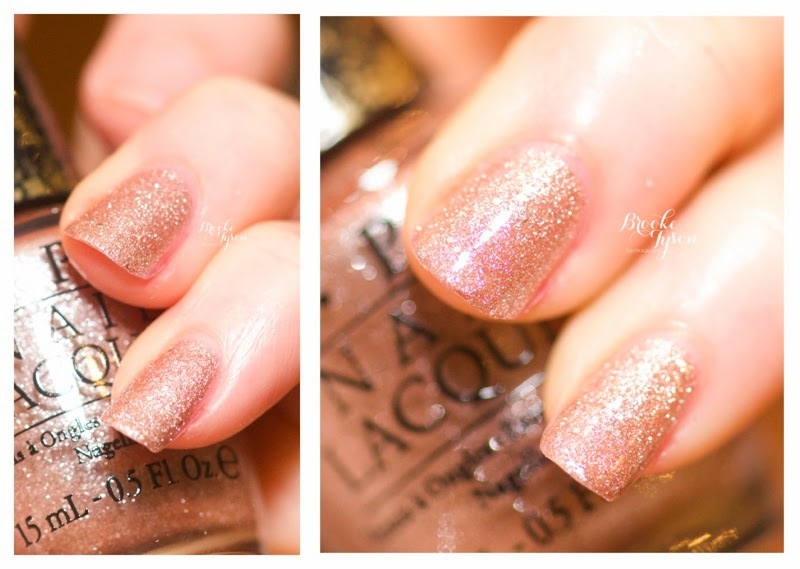 I LOVE holiday polish collections, and nobody does it like OPI. 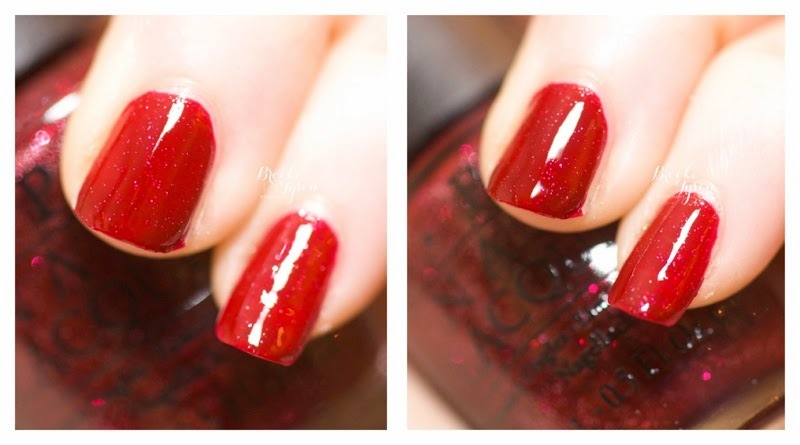 I look forward to this every year, and the recent collaboration between OPI and Mariah Carey is truly a perfect match and the reds and glitters are absolutely magnificent. If you've been reading this blog for the past few years, you know I love these shimmery pearly whites. Years ago (like more than half my life ago! ), right before Christmas, my mom, sister, and I all got our nails done together, and we all chose a color much like this one. That is such a special memory to me, so I've always had a love for these pearly whites. This one is super pretty. Gorgeous!! Love this deep, rich shimmery red! Very pretty glitter gold polish that looks a-ma-zing over top of OPI Sleigh Ride For Two. This is an awesome gunmetal gray with some duochrome! Us polishers just love duochromes. They are so cool! This is a really awesome color, in my opinion, and I love how edgy it is. This is like a wonderful cup of hot cocoa - with glitter!! 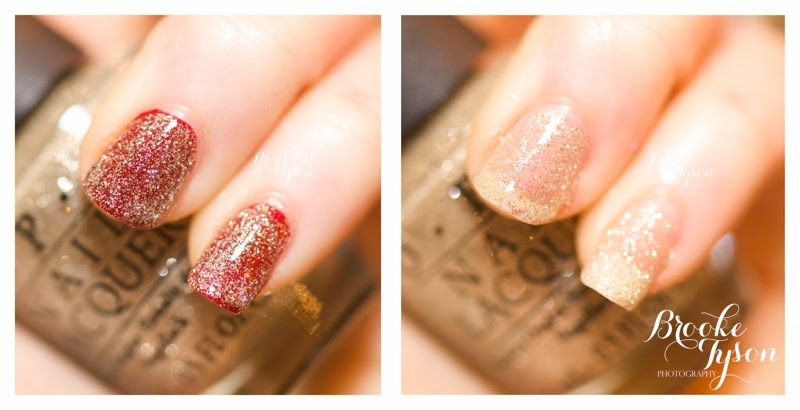 This is some serious glitter. Honestly, it is bigger than a lot of snowflakes! I find it really interesting though, but I think it depends on how you use it. It looks like rhinestones, doesn't it? So I feel like if you very carefully arrange it to either be polka dots or rhinestones, it it going to look cool. 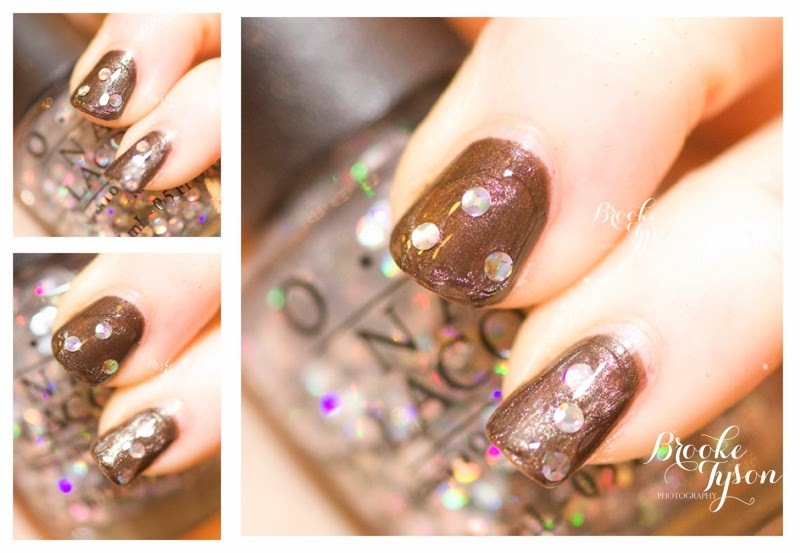 You need a heavy duty top coat for this one though, because that is some big glitter. Very much a "true red" with medium pieces of glitter. Also a cute name! I get a new ornament each year as a gift, so I certainly am someone that has a favorite (or a few favorite) ornaments. I always really enjoy decorating the tree with Justin (and he likes it too, even though most of our ornaments are pink. He always wedges some kind of Miami Dolphins ornament in there somewhere!). This shimmery gold is very sheer, so it makes a great topper for another color (like Underneath the Mistletoe, for example!). I feel like this red kind of got the short end of the stick because it looks SO much more amazing in person than in photos. 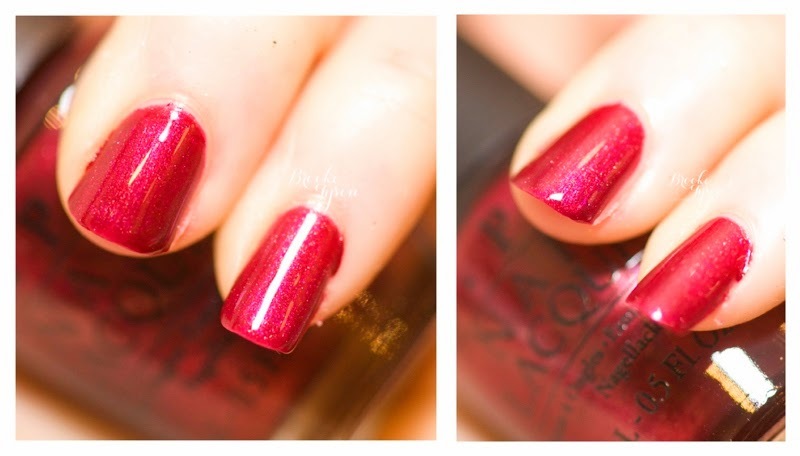 OPI In My Santa Suit (a name I do not love!) 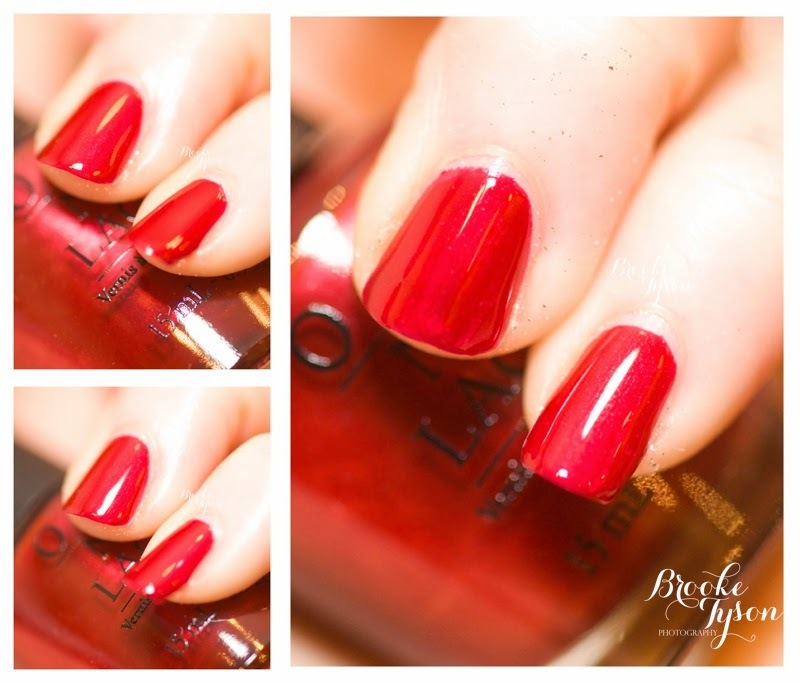 is a gorgeous bright red with lots of super fine fabulous shimmer. Really - this one is gorgeous under some bright lights! This one is the most pink of the reds, but I would still classify it is as a red polish. It has magenta shimmer, which gives it a pretty pink glow. And the name - talk about adorable. I have been calling every one of my adorable pets a "cute little vixen" ever since I wore this color. I am totally someone who would buy this just for the name! 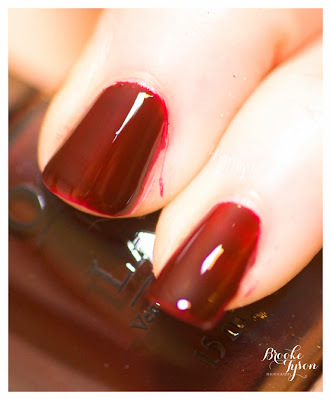 OK, clearly I can't handle dark jelly polishes. I made a mess of this one! I'm not a huge fan of dark jellies (probably because I am awful at applying them!) so this was my least favorite of the five reds in this collection. This is a Liquid Sand shade, so it is a matte glitter. It is a very light salmon-y pink (it looks pinker in the bottle than on the nail) with lots of pretty glitter and shimmer. Happy Holidays everyone!! 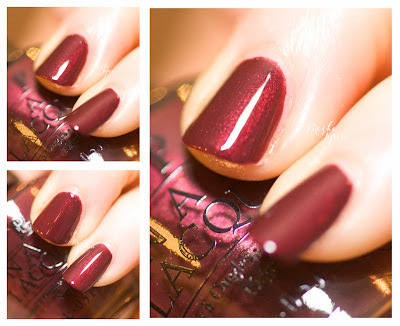 I would love to know what holiday shades you pick up this year!! 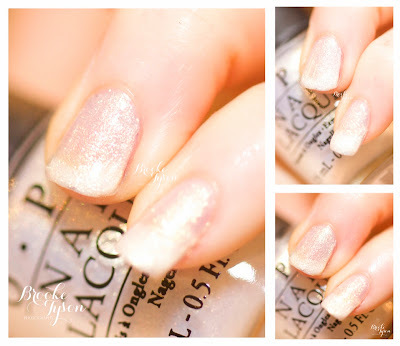 Visit www.OPI.com to learn more about this great collection! Labels: nail polish, Nailpolish, nailpolish., OPI, Polish, polish. 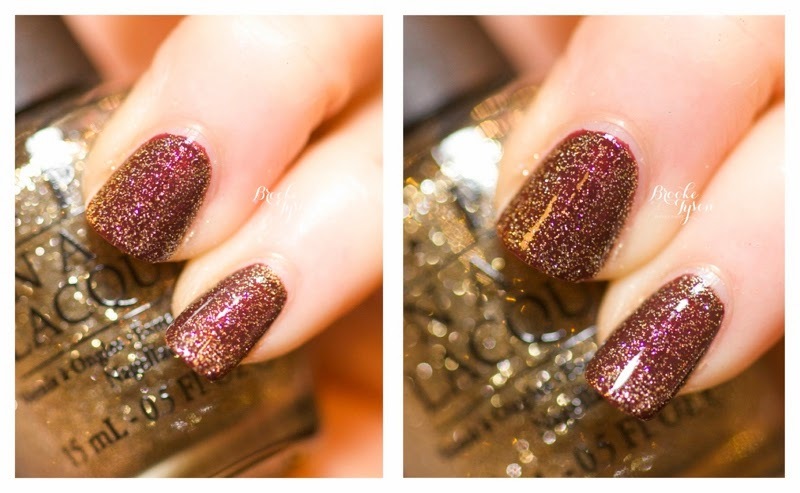 Sleigh Ride For Two is gorgeous! Thanks so much for the swatches. Don't you love having freshly painted nails and smoothly shaven legs? We're a shaving company called Dorco, and we think every woman should be able to afford high quality razors. Check out our prices for yourself and read what others have to say about our products at DorcoUSA.com. Thanks again for this post!